For those who may not know, let me, very quickly, relay to you the beauty that is summertime and the performing arts. Across the nation, theater kids bunk up in remote towns for summer stocks, dance students travel far and wide for intensives, and the country slides into that lovely part of the year that is festival season. Fortunately, as Houstonians, we don’t have to travel far to take advantage of these special seasonal performances. 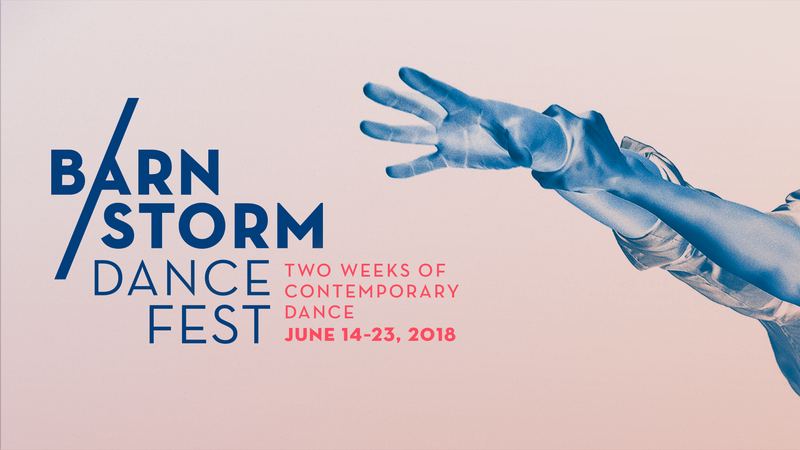 2018 marks Dance Source Houston’s fourth year producing Barnstorm Dance Fest. This year’s festival has been curated by Matthew Cumbie, Harrison Guy, and Nancy Wozny. It includes three different programs for a total of 22 works, which will be presented across the course of two weeks. I had the pleasure of speaking with some of the artists who will be presenting work later this June. Alexa Capareda is an Austin-based performer who will be presenting her work in Barnstorm for the first time. Her work, Alexa, Do the Blue Danube Waltz, is a solo performance that she choreographed on herself to a piece by Johann Strauss II of the same name, Blue Danube Waltz. Capareda’s work stems from her interest in machine learning. Specifically, she’s interested in the use of the arts as a tool to improve and humanize Artificial Intelligence (AI). In this particular piece, she investigates the intersection of formality and humor. She approaches the repetition and patterns commonly found in classical forms with her interpretation of an AI, childlike and bumbling as it learns to be human. Also included on the same program is Travis Prokop’s Paper Trail. Originally created on a female duo at Lamar University, Prokop has reinterpreted this piece for Houston dancers Brit Wallis and Dwain Travis. In this work, the audience observes Prokop’s reflection on his own divorce and the amount of paperwork such a process requires. As the title suggests, paper is a key theme in his piece, and the dancers use it throughout the work as they explore the transactional nature of relationships and how it can upset and deconstruct the idea of romanticism. 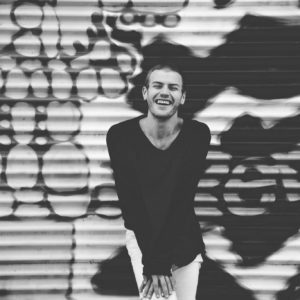 Newcomer Eric Williams will present his solo work, What I really meant was… Williams has a unique history with movement. His foundations are in hip hop and breaking. As a young boy, he would use his reflection in puddles on the street or his own shadow to develop and master his own aesthetic. After an introduction to modern dance in college, he explored several different techniques but was especially drawn to the movement style of Pilobolus, eventually becoming a designated Pilobolus Technician. (For those who are not familiar with Pilobolus, you may remember the 2009 Hyundai commercial in which the dancers created a living sculpture of a car). In his piece, Williams’ blends Pilobolus’ philosophy of space with the versatility of break dance and the soft extensions found in ballet. Setting the mood and rhythm of the work are three spoken word poems and piece of music, all written and composed by Williams. Through the use of structured improvisation, he explores what it means to be a man, to grieve, and how, if unchecked, that grief can spiral into depression. Presenting on the same night as Williams is dance veteran Rathna Kumar. 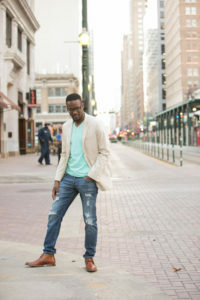 Kumar is a prolific choreographer and a pillar in Houston’s community. This year she presents a work called Dance of Shiva, a solo performance that she has reworked into a group dance for eight. Kumar has selected a piece of music composed by Pantanjali, who was a great devotee of Shiva’s. As Shiva is also known as the Lord of the Dance, his followers often worshipped him through movement. Plagued with short legs, Pantanjali wrote a song with short couplets to suit his own abilities. Kumar’s choreography responds directly to the music’s energy with leaps, spatial movements, quick footwork, and speedy “mudras” (hand gestures). Dance Source Houston will present all three programs of Barnstorm Dance Fest from June 14-23rd at the MATCH theater located at 3400 Main Street in midtown. The works of Alexa Capareda and Travis Prokop will be presented as part of Program A on Thursday, June 14th and Saturday, June 16th at 8:00 PM. Eric Williams’ and Rathna Kumar’s work will be presented as part of Program C on Thursday, June 21st and Saturday, June 23rd at 8:00 PM. To purchase tickets, please visit the MATCH’s website at https://matchouston.org/events/2018/barnstorm-dance-fest.